It is undeniable that there is a major “mental” component to competitive tennis, but what does that really mean? And better yet, how can you improve the “mental” game? It is widely accepted to break down sports into four distinct areas (Physical, Technical, Tactical, and Mental) to help organize goals and develop strategic training plans. For example, I will focus on building confidence (mental goal) if I notice that I am afraid of making mistakes (mental obstacle) just as I would focus on endurance (physical goal) if I noticed that I felt fatigued before the end of the match (physical obstacle). Although logical, the way in which we label our goals dictates the way in which we train to improve them. So how do you train to build confidence? Is it on or off the court? During or after practice? With a tennis or mental performance coach? In actuality, the game of tennis is a series of decisions made by synchronizing the brain, heart, lungs and muscles to outmatch the opponent. So instead of using words like “mental” or “psychology”—which are vague, difficult to measure, and overwhelming to players—start to focus on what you can do to develop the functions of your brain. Below I have outlined four valuable functions to help competitive tennis players become more organized in their training. 1. Game Insight: A player’s Game Insight or “Sport IQ,” is demonstrated by one’s ability to make quick and effective decisions throughout the course of the match. It is developed over time through a combination of playing, learning, and watching the game and is critical for confidence because it builds your sense of competence, preparedness, and overall trust in your ability to succeed. For players looking to improve Game Insight, experience and time is essential. 2. Cognitive processing skills: In tennis there are two distinct phases of play: (1) During the point when there is little time to make decisions and you must rely more on intuition and instinct; and (2) In between points, games and sets when there is more time to analyze and strategize. When making instinctual decisions, a player must be fully aware of the most important cues in the environment and assertively commit to what they believe would be the best choice of action in that particular moment. To help improve instinctual decision-making, you must work to develop your cognitive processing skills, such as spatial awareness, working memory, task switching and divided attention, etc. Such skills can be improved through playing and experience, but studies have also shown that you can significantly improve your cognitive processing skills by engaging in computer simulated brain training games (IntelliGym.com). For example, many of my players enjoy using an App called Lumocity to supplement their training and develop decision-making skills off the court. One very important thing to consider is that cognitive task switching requires glucose (energy)–so be sure to monitor and balance the timing and duration that you play these games. I recommend doing it on a rest day or lighter day for no more than 30 minutes and I would deter you from doing it before practices or matches. 3. Knowledge and awareness of physiological connections: In the moments between points, games and sets, there is much more time for you to think and process information. For many, these are the moments where you may “over-analyze” or become hyper critical of yourself, which can have a profound impact on the physiological state of your body, and therefore, your performance. Before working to change your physiological state, you must first understand how your body systems interact and then develop awareness around your responses to triggers during competitions. Ask yourself, what happens to my heart rate, oxygen levels (lungs), and muscles when I feel frustrated, disappointed, anxious or embarrassed? Where in my body do I feel discomfort (i.e. rapid thoughts, stomachache, jittery, etc.)? And what triggers me to change physiological states (i.e. mistakes, lost points, losing, etc.)? In becoming more physiologically knowledgeable and aware, you can gain insight on your emotional triggers in tennis and then use your brain to develop the necessary strategies to ensure that your heart, lungs and muscles are synergized and functioning at their best. 4. Emotional management: Emotional management is the final component of brain training and arguably the most influential obstacle to quick and effective decision-making. For example, if you’ve ever experienced indecision, confusion, doubt or fears during the decision-making process, then you must learn better emotional management skills. 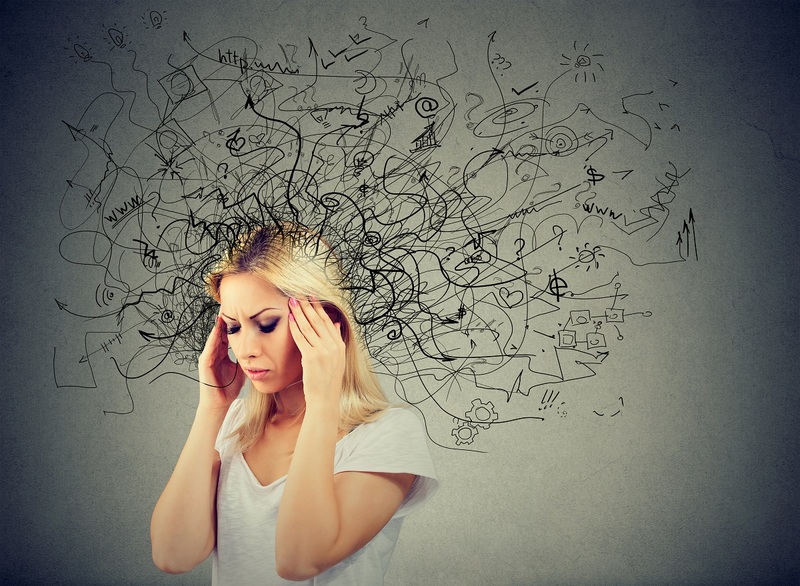 As opposed to emotional control, emotional management is the act of allowing yourself to truly connect with and feel your emotions as they are experienced–regardless of whether they are positive (confident, happy, proud) or negative (frustration, disappointment, embarrassed). As competitors, we’re pleasure seeking and pain avoidant, however you must remember that you cannot remove negative emotions from tennis and therefore must learn to cope with the uncomfortable feelings that will inevitably occur throughout a match. To help you cope, remember that emotions are intertwined with physiological changes in your body and those changes cannot be instantaneously reversed. For example, after losing a point I immediately feel discouraged and my physiological state changes as a result. I must accept that I am in a new state of discomfort, but also remember that emotions are temporary feelings that will eventually go away and they don’t define who I am as a player (just because I feel disappointed doesn’t mean that I am a disappointment). To move past the discomfort quicker, you first must accept the reality of the situation or the facts–I made a mistake. You are not a failure, you just made a mistake. And since this is still a somewhat uncomfortable realization, you must then boost your self-esteem by remembering who you are (think of your character traits) and what you do well (think of past performances that make you feel proud). By utilizing these strategies, you will start to build trust in your “mental” game, which leads to more assertive decisions and greater risk-taking. The outline of the four fundamental functions of the brain are organized in a way that promotes integrated training. To truly develop physical, technical, tactical and mental skills, you must play the game of tennis and learn to synchronize your brain, heart, lungs and muscles to make quick and effective decisions that outmatch your opponent.